Leading legal experts Yaroslav Melnyk and Zhanna Balabaniuk commented on the possible reality of Transitional Justice in Ukraine. When we talk about transitional justice, it should be noted that this issue concerns not only the transition of society from an armed conflict to a post-conflict period but also the transition from a totalitarian to a democratic regime. After exiting from the USSR, Ukraine, first of all, faced the challenge of building a new system of governance and legislation. Unfortunately, as often happens in history, many archaisms of the Soviet period have been withdrawn only partially, leading to long-term preservation of many dogmas of the law of the former Ukrainian SSR. Perhaps, the slow transition from the Soviet legacy has led to massive and systematic violations of human rights during the independence. Soviet vestiges of governance, among others, have resulted in the armed conflict in Eastern Ukraine. In order to analyze benefits of transitional justice that could be useful for Ukraine, it is necessary to refer to the origins of this institution. Legal regulation of individual protection from enforced disappearances began at the regional level, namely within the Inter-American Human Rights System. The Inter-American Commission on Human Rights has repeatedly drawn attention to the practice of enforced disappearances in their reports regarding Argentina (1980), Chile (1974) and Guatemala (1985). At the level of international justice, judgments of the Inter-American Court of Human Rights in the case of Velasquez Rodriguez v. Honduras (1988) first established the State’s responsibility for the enforced disappearance and determined the penal nature of such acts. In other words, the states had established the principle of responsibility for crimes, committed by the authorities during the military conflict. This approach can be considered as the beginning of transitional justice to understand which was subsequently added to the State’s duty not only to compensate the damage but also to analyze the reasons that led to military conflict. Implementation of the specific duties by these states had to ensure the prevention of human rights violations in the future under similar circumstances (civil conflicts, violent regime change, terrorist threats, etc.). Today we need clarification of the guiding principles of transitional justice that could be implemented to the internal policy of Ukraine in a new direction. The Ukrainian Helsinki Human Rights Union received comments of two Ukrainian experts about what transitional justice is, what it would mean for Ukraine, and what conditions for its implementation are. Yaroslav Melnyk, Ph.D. in Law and a lecturer at the Institute of Postgraduate Education of the Taras Shevchenko National University of Kyiv, and Zhanna Balabaniuk, a member of Public Service Reform of the Reanimation Package of Reforms, expert of Expert Advisory Council of the National Agency of Ukraine on Civil Service. Their comments are complementary to previous expert comments on transitional justice that we published earlier. Yaroslav Melnyk provides both broad and comprehensive definition of the concept. He assures that the doctrine of transitional justice is, first of all, to reveal facts, to establish causes and provide an assessment of areas and scope of human rights abuses that were obtained in a result of the formation and activities of political, legal, corrupt, oligarchic, autocratic, military or totalitarian regimes. The consequences of such actions are the usurpation of certain forms of governance. They also lead to persecution, repression, torture, an outbreak of war, racial and national intolerance, violation of fundamental human rights. In such cases, human life and the rule of the rule of law are in danger. In addition, the introduction of transitional justice in the nation’s political and legal model is designed to provide not only a collection of facts, statements and assessment of the extent of human rights violations as a result of the arisen conflict, but also to promote the development of clear recommendations for changes to institutions that guarantee human rights in the country (implementation of a radical reform of these institutions). In doing so, the experience of other countries must be used. It could restore rights not secured by the states. 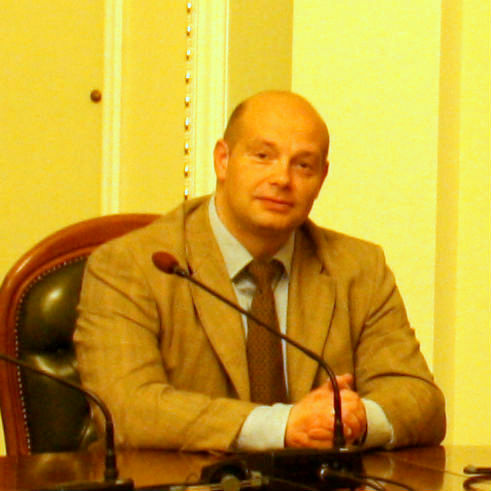 Also, according to Yaroslav Melnyk, own unique mechanisms to clean up government from corruption, torture and persecution may be developed. Thus, the functional implementation process of transitional justice at the same time aims to provide expert legal, social and psychological assistance to victims to restore human rights through judicial and administrative, civil jurisdictional, international and national forms. The reforms have to be implemented in order to change a system that ensures the state human rights protection. Zhanna Balabaniuk states that transitional justice may be applied in order to ensure human rights respect in conflict and post-conflict periods. It involves a set of legal and non-judicial mechanisms. These mechanisms are designed to evaluate the past, which contributed to the massive violation of human rights and humanitarian law. Identifying possible victims of crime and restoring their rights and freedoms by humanitarian law. What does the transitive justice mean for Ukraine and what are conditions for its implementation? Implementation of accumulated experience, methods, and mechanisms of the transition justice doctrine, according to experts, will mean for Ukraine at least three vectors of change. In the scientific aspect, this is a professional evaluation of key problems of Ukraine’s focus in the context of transitional justice issues of disclosure on the state of justice and law enforcement as well as a political and legal assessment of the state apparatus on the international level. In a practical aspect, this is restitution (redress), compensation (damages), rehabilitation (medical, psychological assistance, social and legal services) and the use of satisfaction (introduction and application of effective measures aimed at ending the ongoing violations). Finally, regarding making appropriate “map” of the restoration of rights to be implemented and provided guarantees for non-repetition and prevention of human rights violations, which would come out of an ineffective state authorities, court or police. This also applies to other countries manifestation of aggression, political, territorial or military-terrorist formations. There is a reason to believe that there is an urgent need to implement unique, and sometimes – to develop fundamentally new mechanisms of transitional justice doctrine. Thus, the conditions of transitional justice implementation are above all institutional reforms in the security sector, law enforcement and public authorities. Yaroslav Melnyk said that the result of such circumstances is not only to be able to develop Ukrainian transitive model of justice, but also improve the democratic and legal regime of the institutional reform implementation. This action will provide a real mechanism for restoring human rights, finding the truth, and transparency (openness and accessibility). However, the expert notes that in order to find the truth and the facts of the offenses and to gather evidence, a separate independent commission to investigate the events should be established. This, in turn, will be temporary with well-established legal functions. At the same time, perhaps, the main task of the independent commission should be to investigate individual events, to gather evidence, and material evidence of crimes and inhumane acts. Thus, Zhanna Balabaniuk is deeply convinced that this independent commission should investigate not only crimes since the beginning of the armed conflict of an international character that is not recognized by the parties to the conflict (armed conflict in Donbas and occupation of the Crimea) in Ukraine, but also from August 24, 1991, in view of causation – all circumstances that led to further military conflict in our country. And also, action or lack of action that led to impoverishment and degradation of any of those civilians in Ukraine.